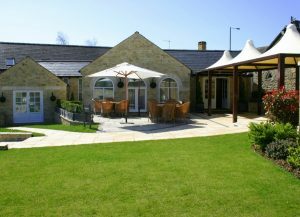 Number Four at Stow is an award winning contemporary boutique hotel situated in the heart of the Cotswolds. 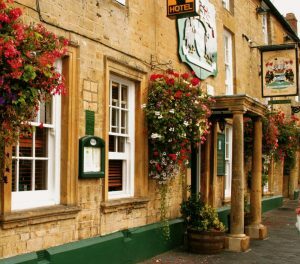 The hotel lies on the side of the ancient Roman Fosse Way, just a stone's throw from Stow-on-the-Wold. Offering 18 beautifully appointed air-conditioned bedrooms, including suites and a family room, the Hotel is the perfect destination for a getaway country break. Who couldn’t but relax when surrounded by the rolling green hills of the Cotswolds! 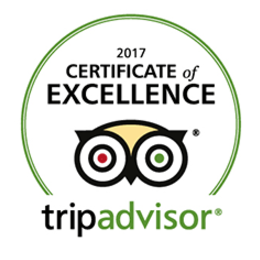 In the award winning restaurant at Number Four our kitchen team aims to offer the highest quality cuisine. With daily deliveries of locally grown seasonal vegetables, meat and game from suppliers located here in the Cotswolds and fresh Cornish fish, our menus offer delicious dishes to suit all tastes. 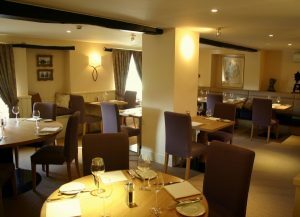 Number Four at Stow takes pride in offering food of a consistently high quality with warm and friendly service. Relax and enjoy an aperitif or glass of champagne in our comfortable Lounge prior to dining. 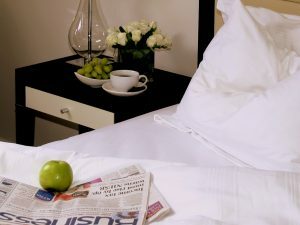 Ideally located, Number Four at Stow is just a short drive from Bibury, Bourton-on-the-Water, Broadway, Chipping Campden, Stratford-upon-Avon and many other renowned Cotswolds tourist attractions. The Hotel is perfectly situated for travellers with business in the Cotswolds because of easy access to surrounding areas via the A429, A424 and A44. Lying within walking distance of the popular wedding venue of Hyde House also makes the Hotel an ideal choice for guests attending weddings. 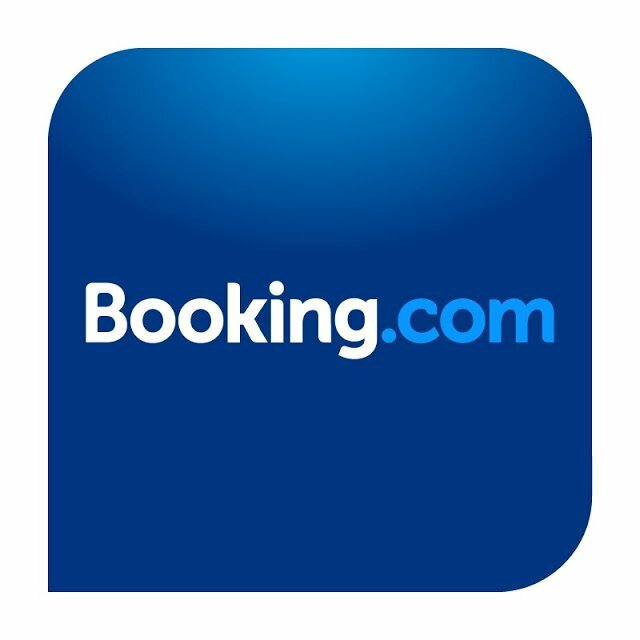 Hotel and Restaurant guests have the benefit of free on-site parking. 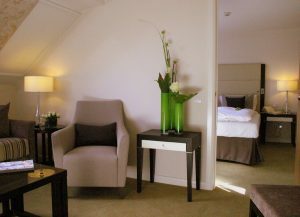 There is also fast fibre internet/WiFi available throughout the hotel’s rooms and public areas - without charge. 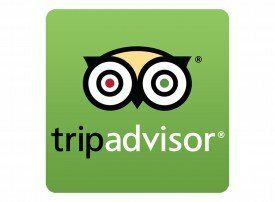 At Number Four our friendly and dedicated team is committed to offering a unique and personal service to ensure your visit is one you will want to repeat again and again. 'Fantastic hotel and very friendly staff. The team have been awarded their first rosette and hope to work up to two rosettes. 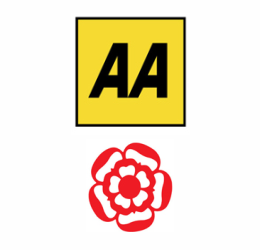 We are delighted to announce that Number Four at Stow is now a Silver 3 Star hotel as rated by the AA. 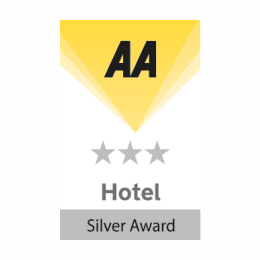 The addition of the Silver Award to our 3 Star rating is a testament to the teams ambition to offer great service and experience at the Hotel.